Some thoughts on social media from Marcus Brown on Vimeo. Are you ready? Here it comes! 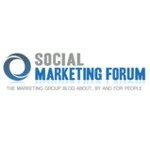 One of the biggest Social Media event’s in Europe – Social Media Word Forum is knocking on your door. The speakers from Facebook, Linkedin, Bebo, Xing to name just a few social media mega brands who are involved in the event. Well if you have anything to do with social media that is the event you simply can not miss. So watch out 15 – 16 of March, London Olympia, see you there! I’m happy to share some great news for Social Media Citizens readers. We are teaming up with Social Marketing Forum and Social Email Marketing blog in order to bring more value for our communities. As a result, I am very happy to announce that we going to have the guest bloggers from Social Email Marketing and Social Marketing Forum – one of the fastest growing social media community in Europe. I definitely recommend to join it and I hope you will enjoy some fresh content on our beloved blog! This blog is all about the impact of social media on marketing in general and on email marketing, specifically. The Social Marketing Forum and its Facebook page are all about social media marketing, peer-to-peer advice, discussions and the sharing of insights. 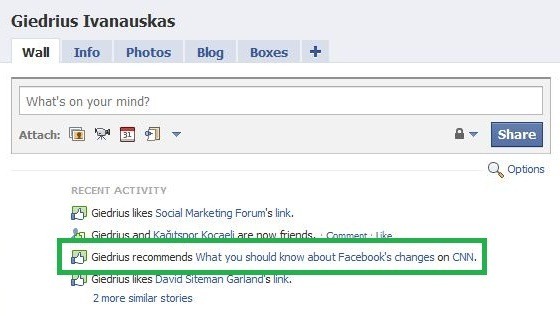 However, all “administrators” of the Social Marketing Forum also have their own blogs and Facebook pages. I was the only until now who had no own Facebook page. Not that it’s a must of course (worse, I blog about email marketing all the time, and I even haven’t found the time to start an email newsletter yet…). 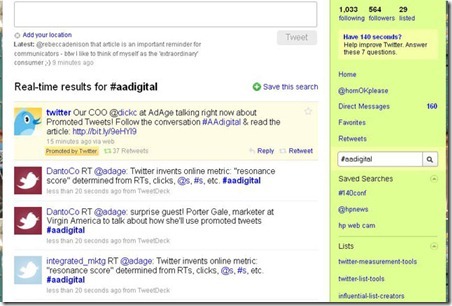 As you may have already heard Twitter has started its own Promoted Tweets program a few days ago. I was just following the discussion and reading all the news about it and decided to share this collection of posts which pretty much tells everything you need to know about this developement. Is Facebook building the new community-driven question-and-answer platform? From the description of the testers role it sounds a lot like crowdsourced answers platform something like Yahoo Answers or Answers.com. 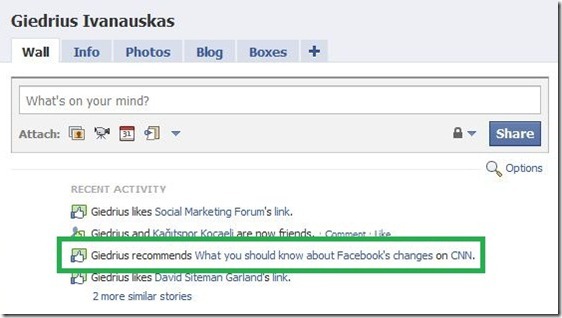 Interesting updates are coming up on Facebook. I wonder what kind of business model will be associated with it? Is Facebook going to be selective in people answering the questions? Would love to hear your ideas about these news? No matter how cheesy and crappy it might be, but that’s the film I want to see, the screen adaptation of the biggest social network Facebook. What do you think about the idea to make a film about Facebook? 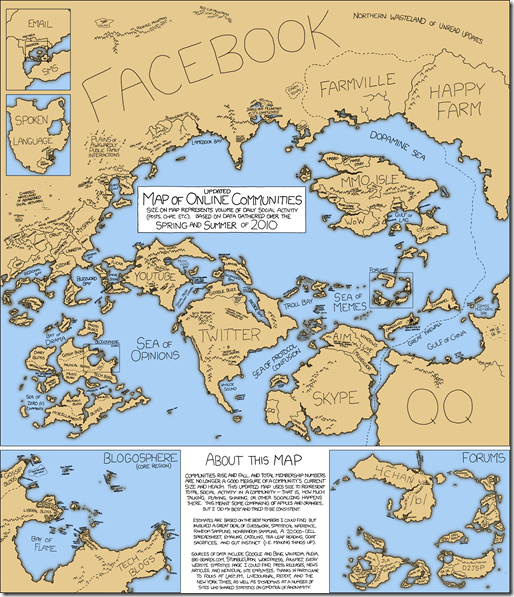 I bet that you have already seen a few versions of these social media maps. Well I find them quite fun and I think it’s going to be interesting to watch how they are going to change with the time, so I decided to start collecting them and share it with you guys on this site. You can find the commercial copy of this particular map at xkcd.com.